Today gardens are springing up everywhere. Urban gardens are growing in popularity across the country. What are urban gardens? Urban gardens are plots of land in cities, neighborhoods and appearing on college campuses. These green spaces provide important opportunities in community. These green spaces bring people together, provide exposure to the origins of food and traditional crops, and increase appreciation for natural, living things. They are also natural cooling zones that can help prevent soil erosion and storm-water runoff. Urban gardening can include growing plants in pots, growing crops or ornamental plants, as well as food production, all in an urban setting. WHAT’S BEING DONE AT WHITTIER? 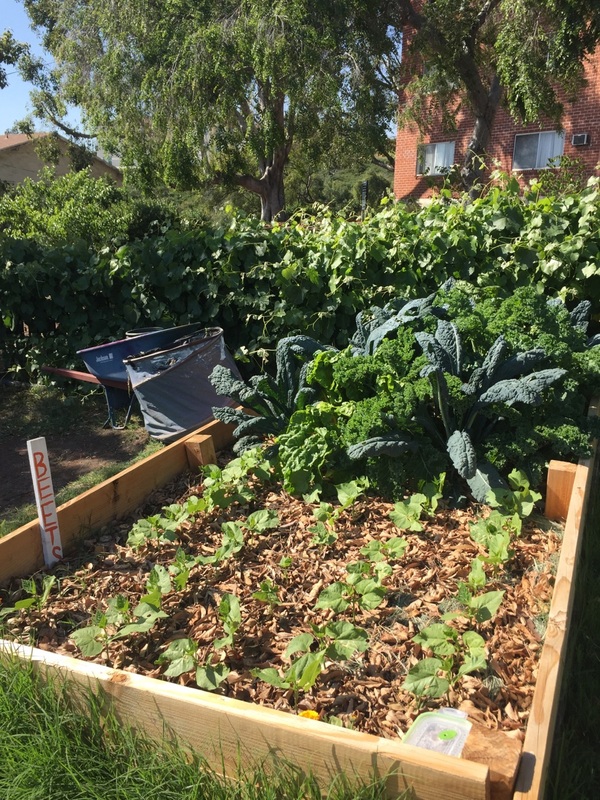 Whittier College’s sustainable urban garden known as the SUrF (Sustainable Urban Farm) learning laboratory, was built in 2011, with the first plants put in in 2012. 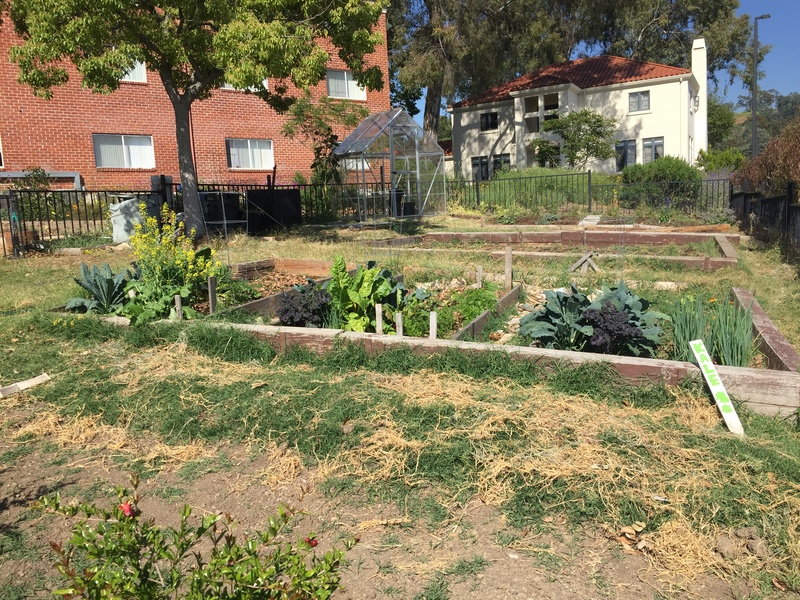 It is a 1/8 acre micro-farm with raised beds and few fruit trees surrounding it in front of the Wanberg Residence Hall. 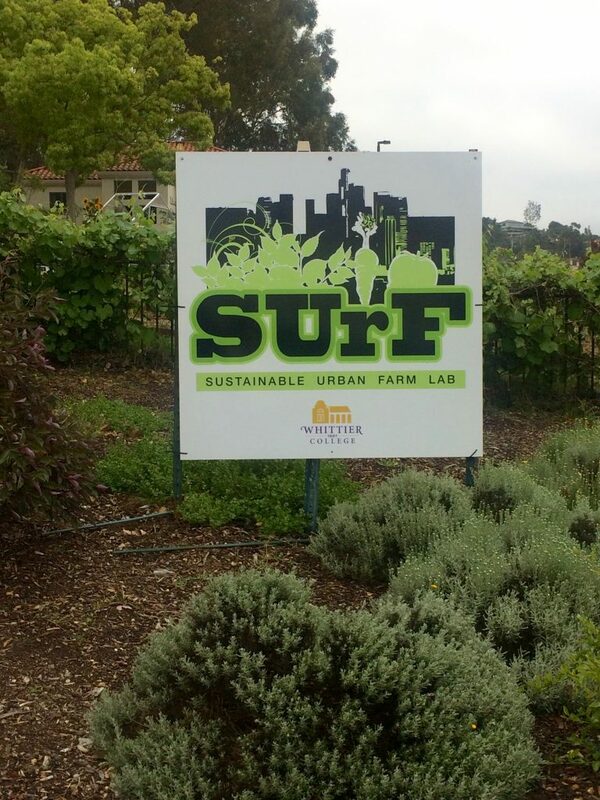 The SUrF’s Mission is to “foster civic permaculture, instill sustainable ecological practices, and grow urban farms in order to connect the communities in Whittier and beyond”. SUrF has collaborated with several other community gardens like the Salvation Army Bell Shelter Urban Farm, Garden School Foundation, Boys & Girls Club of Whittier, Earthworks, and La Serna High School Garden Program, and continues to aim at bringing people together both on and off the Whittier College campus. The SUrF has been under going work over the years. It has constantly had ongoing makeovers. We have worked on new vegetable beds and the health of our plants and our soil, as well as a re-model of our toolshed. We have spent a lot of money on our garden thus far- on the trucked in soil, the seeds, and the wooden fence surrounding it and the gate. Many Whittier professors have been involved in working in the garden. They have worked on it personally and brought their students for educational experiences. We are finishing up covering the beds in mulch to rid them of the dry, dead weeds that accumulated over the summer. Currently the garden has been sowed with vegetables including beets, kale, lettuce, onions, carrots and native grapes. In addition to all our work in the garden we continue to look to the future. We are hoping to add a native flower garden with identification plaques to help educate visitors. We also hope to add both an herb section of the garden and adding in fruit trees.The Sustainability Club on campus is looking for a grant to implement a seating area around the garden as well. Today the SUrF garden has two different compost bins. There is one very large scrap pile for garden scraps such as newspapers, weeds and other things our worm compost does not want to consume. Separately the Environmental Science class have installed vermicompost bins in our garden beds. These plastic bins allow worms to feed on scraps set at the top of the bin and then have holes in the bottom so that they can leave and move around the rest of the bin. We hope that these bins will allow students to both participate in compost and learn about it. We are hoping to get the involvement of the Campus Inn cafeteria in using kitchen scraps to feed our compost worms. The SUrF garden could be the center of sustainable development on campus- a center for student awareness and education, but in order to do that we must improve the current shape of SUrF by getting a team of students to be involved. Students would be responsible for watering the garden and churning the soil just a couple days a week. The next step, would then be to take the garden elsewhere on campus as well, potentially in a more central and interactive location in order to spark more interest in students and spread the passion of rehabilitating our urban earth. Some ideas to help the overall goal in a smaller way would be to have pots hanging from the sides of our buildings, rooftop gardens, or simply compost bins placed in different areas across campus. There are many ways for you as a community member to be involved in the environment you participate in. 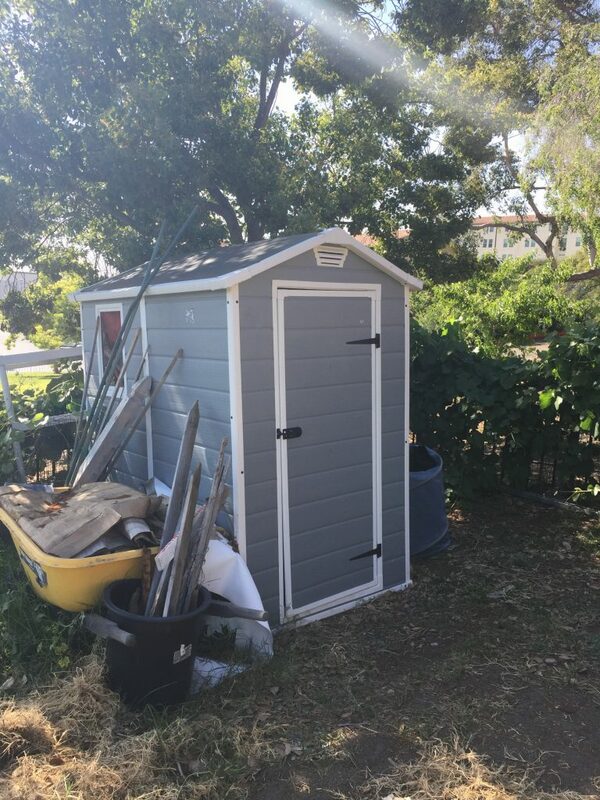 Alongside the compost bins and the gardens, our campus garden has a tool checkout, in which we envision our toolshed to be a lending resource for people to come, work, and go, to promote the Do-It-Yourself lifestyle. 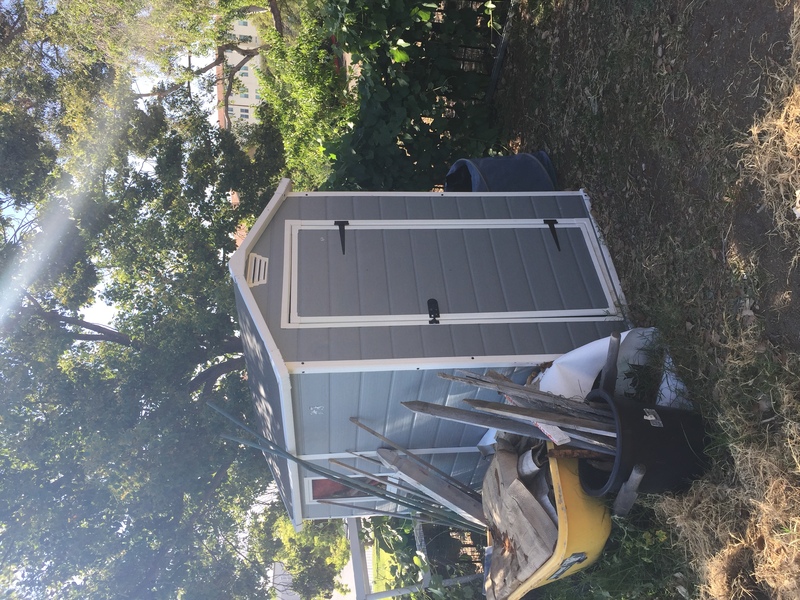 The tool check-out system is also intended to help initiate public workshops and more learning and collaboration with other gardens continuing the work SUrF has done in the past. Ideally to get more student and community involvement, the administration could offer work study jobs or certain paid positions to maintain the garden and get it back into shape. We could also offer course credits to students in the Environmental Studies or Environmental Science departments as an incentive for their participation. This plan will bring community empowerment and purpose to our campus, among other positive changes. It will encourage organic learning and exercise different sustainability methods. 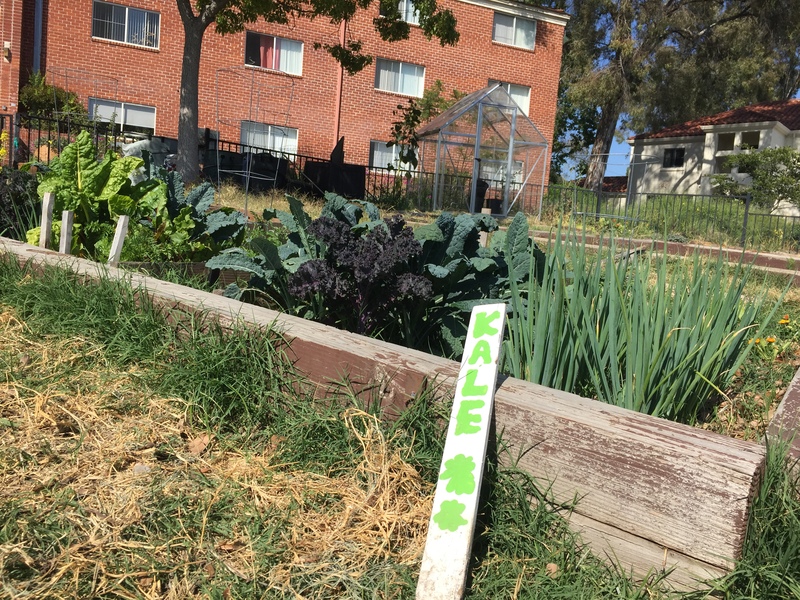 An established community garden is known to have a significant impact on surrounding residents- as long as they can get involved. The plans we have to make our campus one that values the processes of natural growth a little bit more will bring many students closer to the earth and more familiar with organic mechanisms of gardens and urban sustainability.